Aleksandr Legkov won the race with the result of 1:46:55. 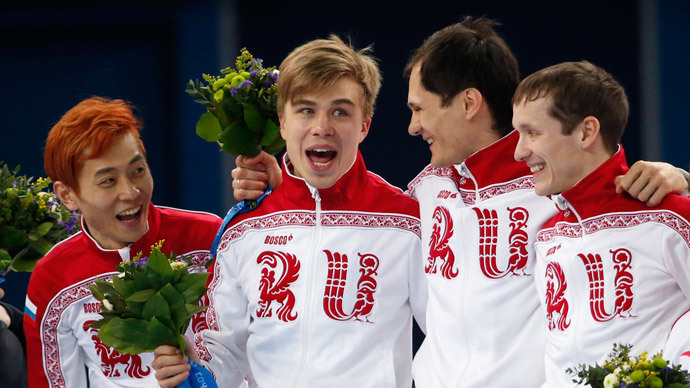 His fellow team members, Maksim Vylegzhanin and Ilya Chernousov, took silver and bronze respectively, arriving at the finish just 0.1 second apart. The triple medal win secures Russia’s leading position in the total medal count of the Sochi Olympics, since no other national team will be able to beat Russia’s result in the two remaining sport events on Sunday. 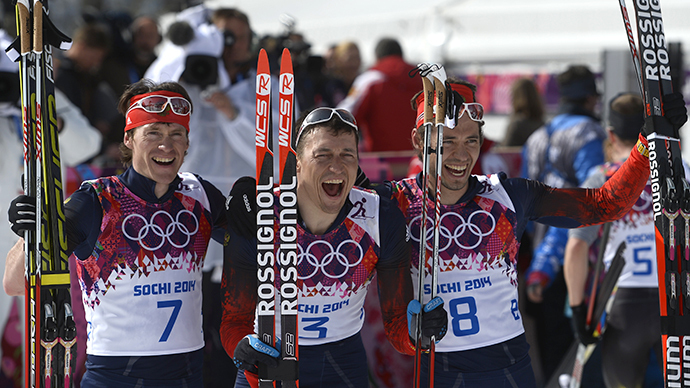 Russia’s result in Sochi is the best the country has ever had during the Winter Olympics. The country’s previous best gold haul was in 1994 in Norway’s Lillehammer, when the national team won 11 gold medals. The Sochi achievement also beats the record of the Soviet Union, which won a total of 29 medals in the Calgary Games of 1988. With two gold medals for the host country in the final day of competitions in skiing and bobsleigh, Russia has 33 medals, including 13 gold, 11 silver and 9 bronze. 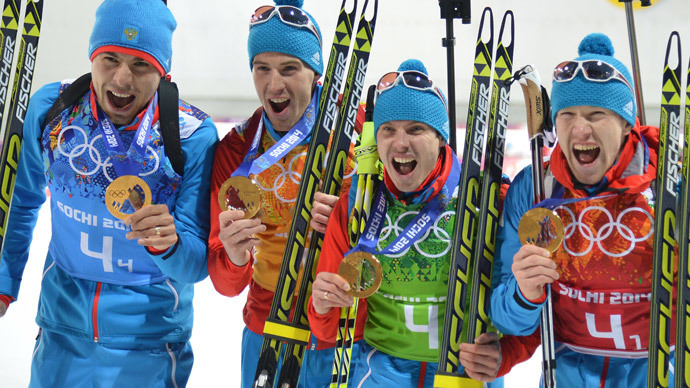 For now, Russia’s closest competitor in the gold race is Norway, which has 11 gold medals. In the total medal count the US team is just behind Russia, with 27 medals.